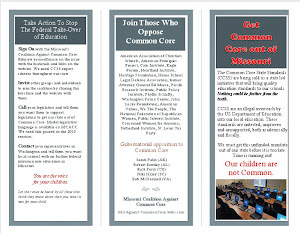 Missouri Education Watchdog: Common Core to Teach Preschoolers/Kindergartners "Executive Function Skills"
Common Core to Teach Preschoolers/Kindergartners "Executive Function Skills"
Register for a Common Core seminar to learn how your preschooler or kindergartener can learn to self-regulate and learn "executive function skills". It's apparent that three to five year old children must learn to become globally competitive and understand their importance to the government and prove themselves to be a good Return on Investment (ROI). Based in Denver, Colorado, McREL was incorporated in 1966 as Mid-continent Regional Educational Laboratory, a nonprofit organization created to help educators in the nation's heartland bridge the gap between research and practice. Now known as Mid-continent Research for Education and Learning, McREL's research and development work provides teachers and administrators with valuable information about proven, effective approaches to the challenges in education today. By building on research to solve specific problems, McREL develops widely acclaimed pre-K-16 educational products that are used in classrooms nationally and internationally to help educators maximize student learning. I wanted to let you know that we’re hosting two free webinars in April that you and others in your district may be interested in. If so, please feel free to distribute the information to any whom you feel might find it useful. Even if they can’t attend at the scheduled time, if they register they will have access to audio recording to listen to whenever. 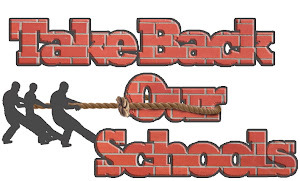 With the implementation of the Common Core, many early childhood educators report feeling pressured to prepare pre-school children for more academically challenging kindergarten classrooms, while at the same time staying true to teaching methods appropriate for young children. Fortunately, teaching academic skills and using developmentally appropriate practices does not have to be an “either-or” decision. In this free one-hour webinar for early childhood educators, discover strategies that can be used in pre-school settings to help young children prepare for future academic standards. Learn how to foster self-regulation and executive function skills and discover ways to promote authentic learning with developmentally appropriate and intentional instructional activities and play. In this free one-hour webinar for kindergarten educators, discover strategies that can be used to help children prepare for academics and Common Core standards. Learn how to foster self-regulation and executive function skills, and discover ways to promote authentic learning in both intentional instructional activities and playtime. Multi-million dollar programs developing "executive function skills" for 3-5 year old children were not necessary. What was valued was learning cooperation, physical exercise, knowledge of music and rhythmic expression, and individual effort in crafting a poem. Doesn't creating poetry and discovering music seem a more appropriate activity for a 3-5 year old instead of sitting at a computer terminal using a mouse that is probably larger than his/her hand? Look at the poetry created by these two 5 year old children in 1957. 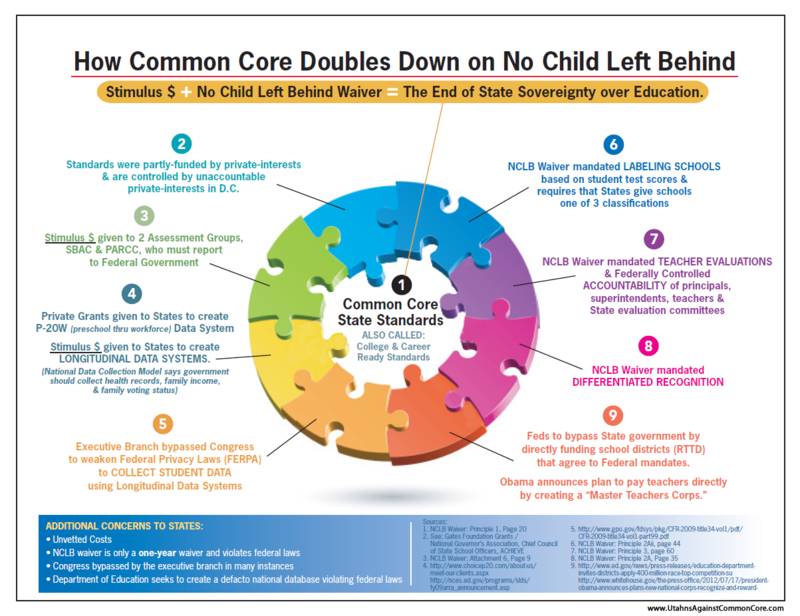 Do the Common Core standards make you sad for preschoolers and kindergartners in 2013? Reread I'm just no good at kindergarten, just no good at all and tell me again why high stakes testing is appropriate for children and why they need to develop "executive function skills" in preschool and kindergarten. 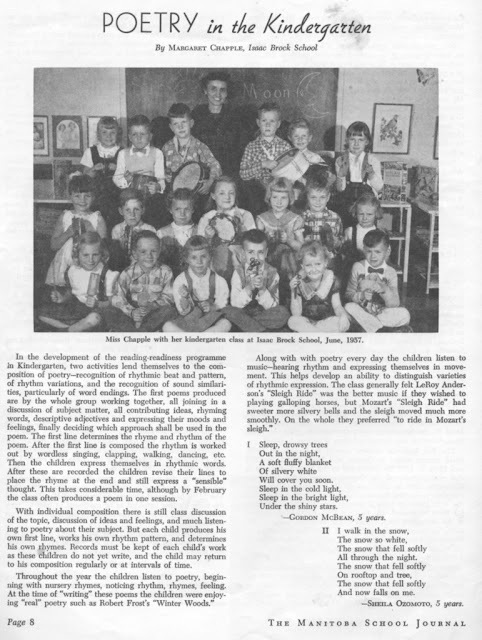 What do you think the goal was for the kindergarten teacher in 1957?